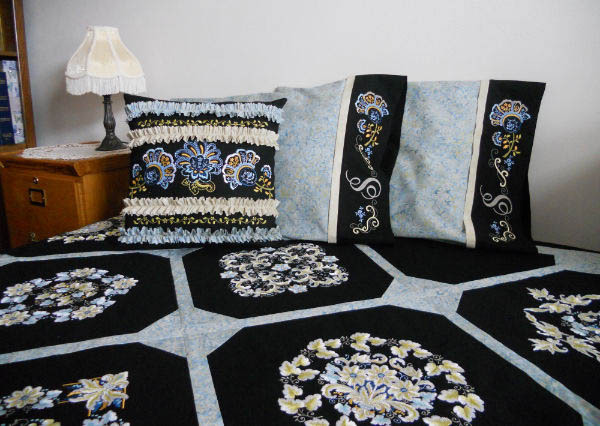 The pillowcases were made using the instructions on the BERNINA USA web site: Creative Basics Pillowcases by Judy Hahner. 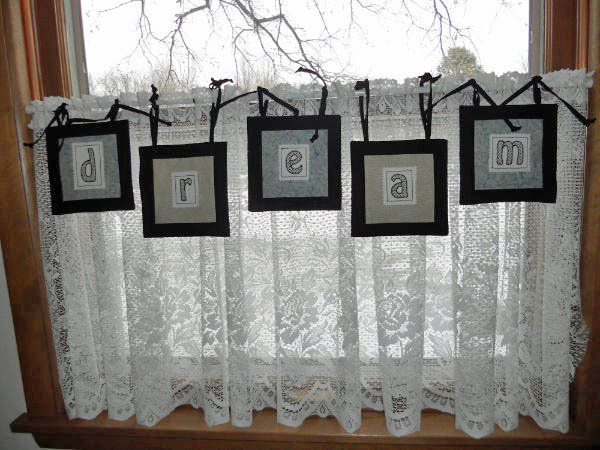 The “dream” wall hanging in the window from the Sweetwater’s Simple Home book also uses the fabrics. Now, to figure out how to get a bed for the display into the classroom! !